At Aamby Valley City, we present you a range of aesthetically created luxurious accommodations. Exceptional designs, thoughtful touches, uncompromising attention to details and panoramic vistas, are the traits that gives them individuality and lets you experience luxury like no other. Here, living spaces don't just offer outstanding views but redefine the point of view of life. A scintillating mix of cuisines, awaits you at Aamby Valley City. From the rich culinary heritage of the subcontinent to the continental and oriental dishes, spanning Indian, Continental (French & Italian), Oriental (Chinese, Burmese, Thai, Japanese & Korean) and Mediterranean (Lebanese, Spanish, Moroccan & Greek), the award-winning restaurants serve you delectable creations that tickles your gastronomic experience. Find an inspiring destination for your meetings, incentives, conferences and get-togethers. Where nature provides the perfect backdrop for great minds to ideate and world-class conference facilities measure up to your corporate image. And a host of leisure, recreation, sporting, events and entertainment options bring the best out of your team. Only at Aamby Valley City. A wedding ceremony lives forever in the hearts of the bride and the groom. Push your adventurous limit. Revel in some thrilling moments. Surrender to a plethora of adventure activities. Only at the state-of-the-art adventure park - 19° North. Located amidst the mystical ambience of the mighty Sahyadri range, here give yourself an exhilarating treat. Embark upon an aquatic playground. Douse your quest for adrenaline by indulging in a slew of water sports at Wetlands. Feel rejuvenated every time you take a stride at the Hill City's exclusive 'The Mini Club' that is dedicated to fun, wellness and relaxation. Aamby Valley Golf Course is a sheer visual delight that naturally blends with the base of Sahyadris. A marvel of British Golf Architecture, this 18 hole, fully floodlit championship golf course. Set against the delightful backdrop of Sahyadri mountain range, the Hill City beckons to experience the finest luxuries of life through one-of-its-kind Aamby Valley Airport. A full-fledged dedicated airport, which can handle all-kind of private aircrafts and choppers. With breathtaking views and club-class comfort and conveniences, it owes you a touchdown experience like never before. 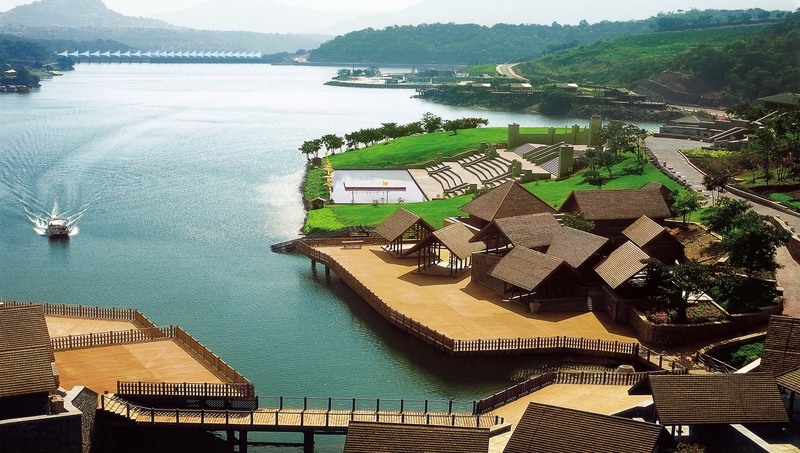 ISA is situated within the expansive, safe and beautiful landscape of Aamby Valley City. The unique location allows ISA to provide a rich learning environment tailored to each child.